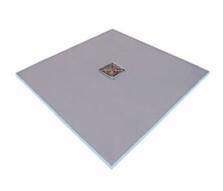 The Marmox Showerlay is a low-cost, easy-to-install waterproof base for use in the design of a wet room for the home. 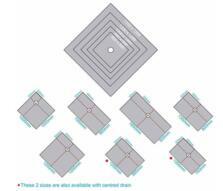 It is easily cut into any size or shape and forms a floor level, barrier-free panel ready to receive a choice of surface finish or tiles. Unlike many other shower tray brands, a Marmox showerlay is robust enough to allow mosaic tiles to be laid on it without the risk of compression through point loading.